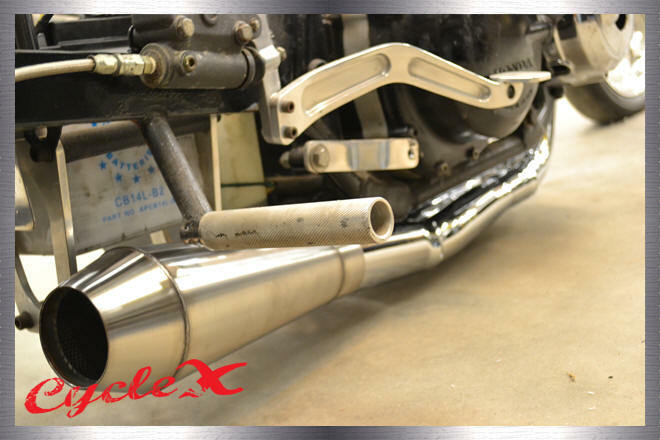 If you're in need of tech help, refer to our exhaust tech tips page. 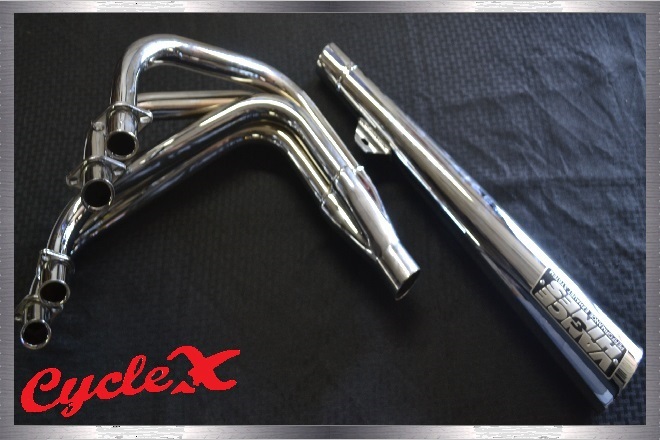 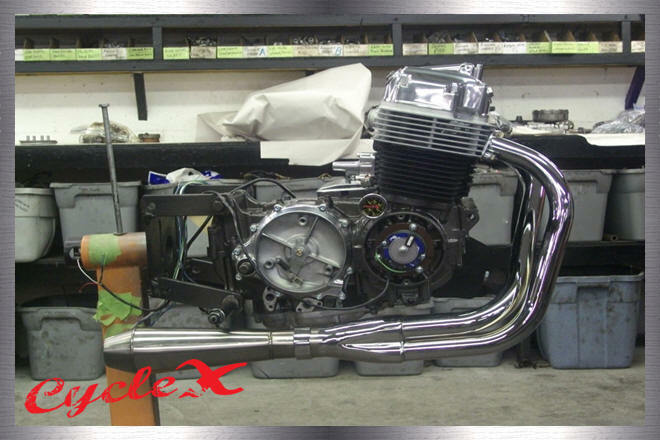 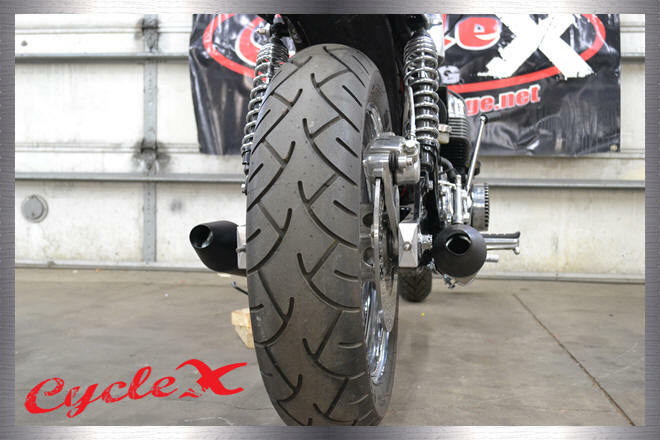 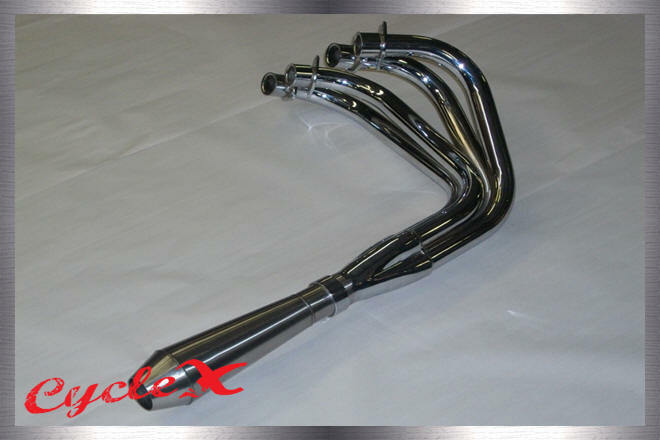 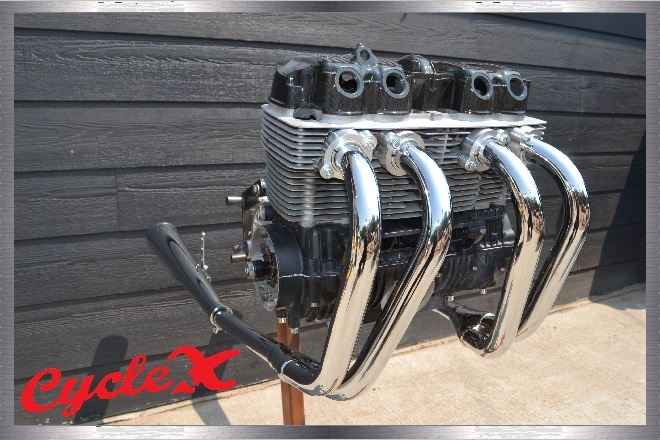 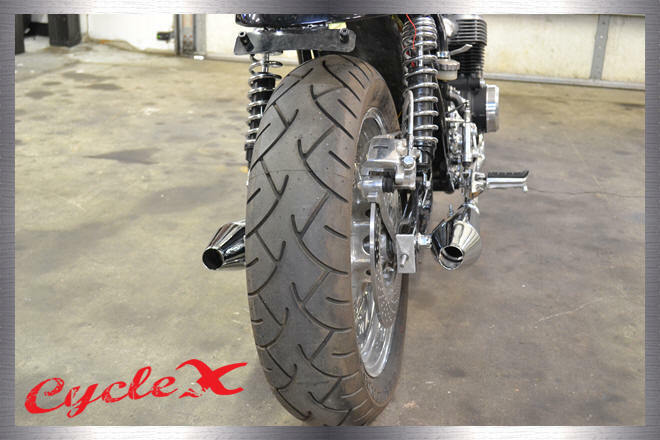 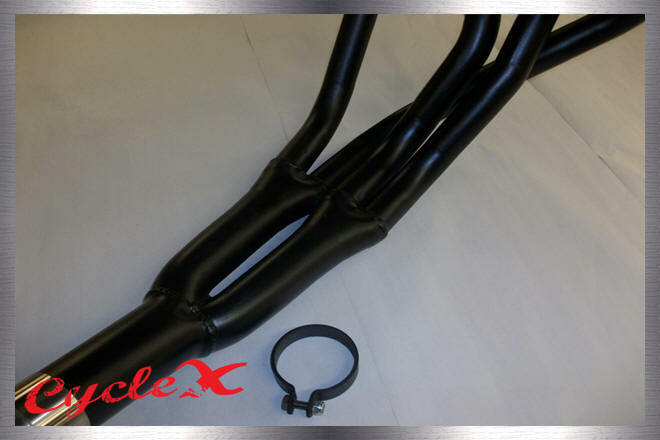 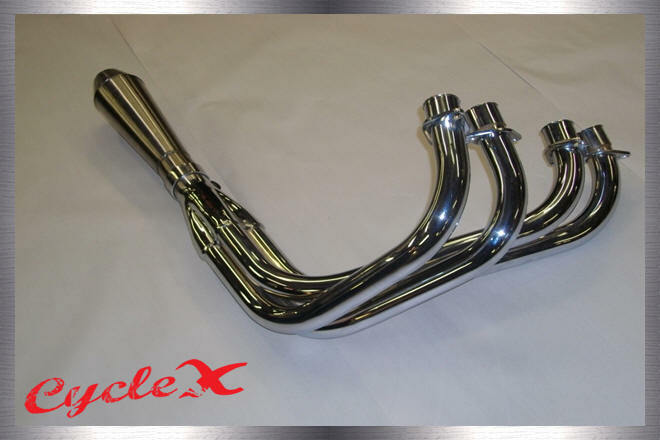 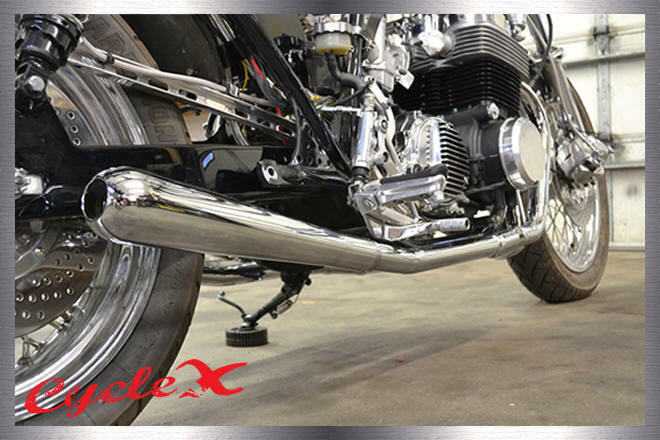 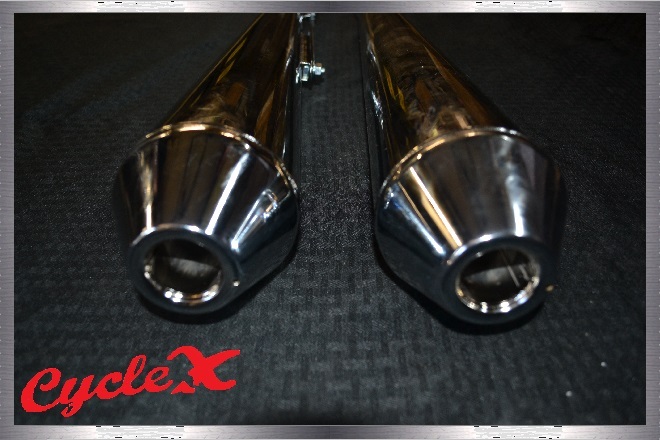 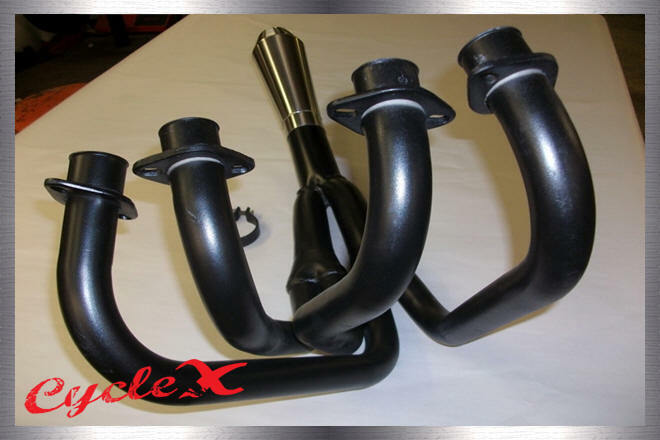 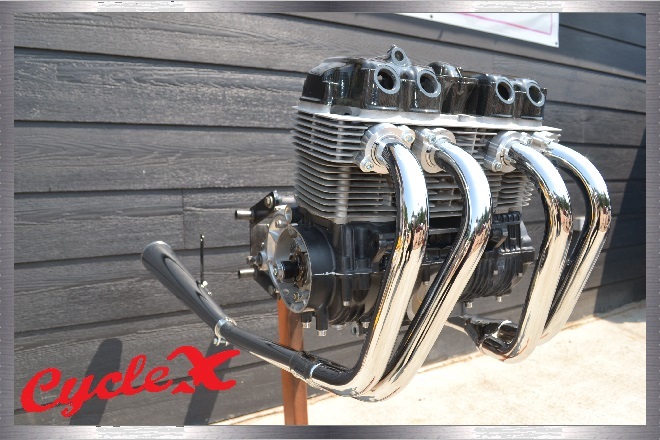 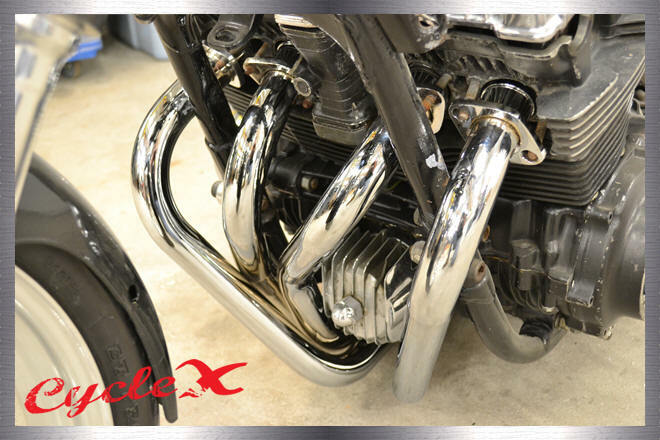 Check out the stainless 4 into 4 CR replica exhaust builder head pipes (add any mufflers you like). 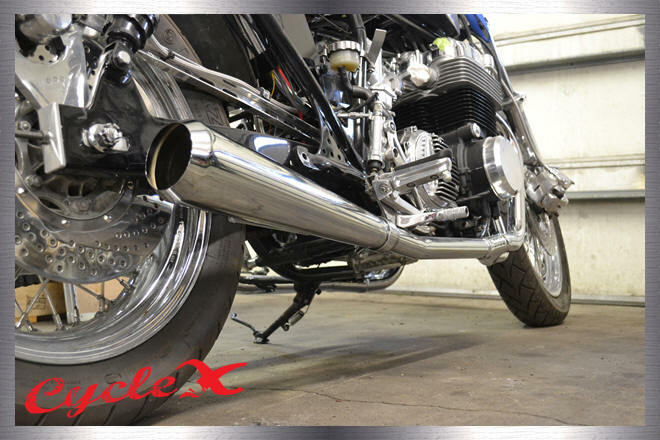 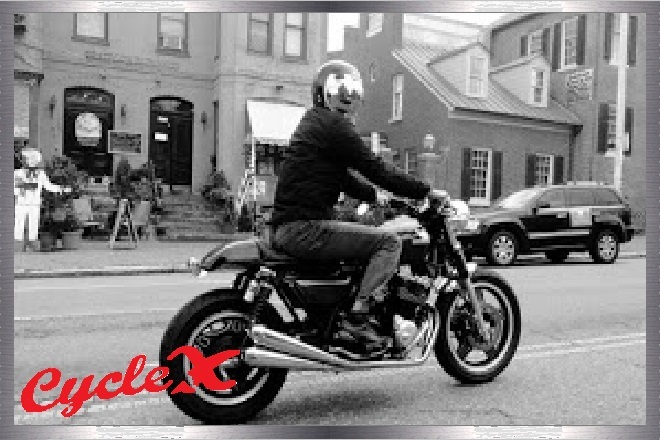 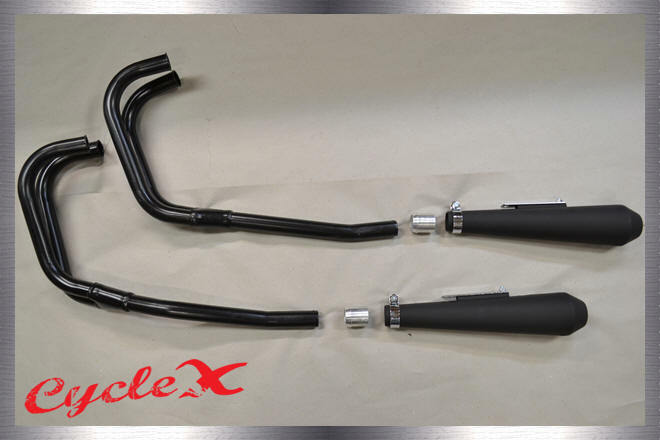 This exhaust system is our Cycle X version of a CR 4 into 4 and is not intended to be an exact copy of the original CR systems or OEM systems. 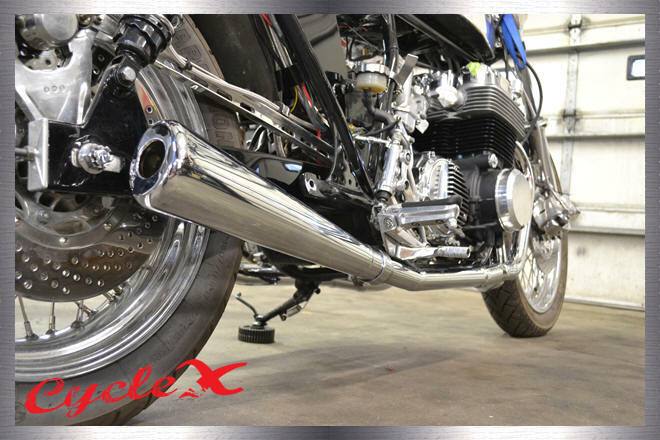 We mentioned that these exhaust systems were builder pipes because the mounting of the mufflers will be decided by the person building the bike. 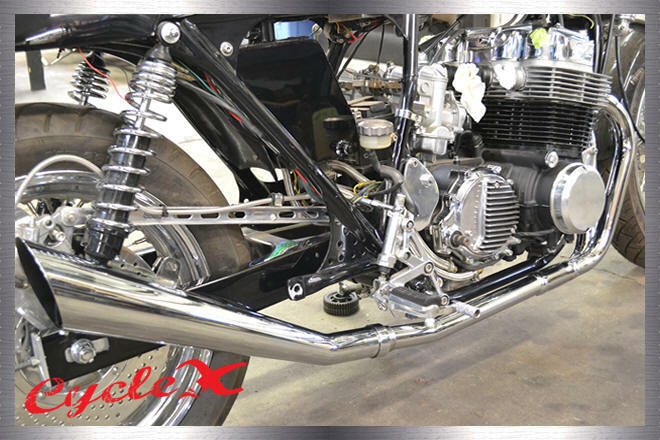 Rear sets, cafes, bobbers, customs and the removal of OEM exhaust mounting frame areas is why we try not to use the phrase "bolt on". 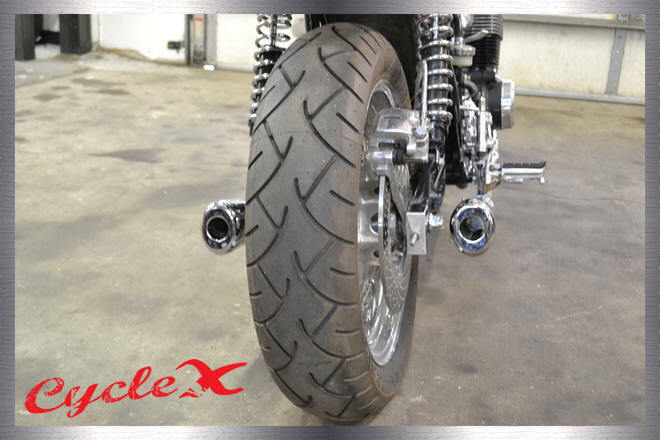 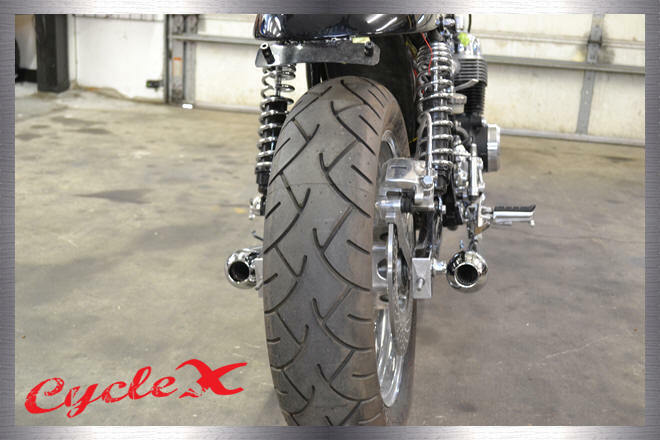 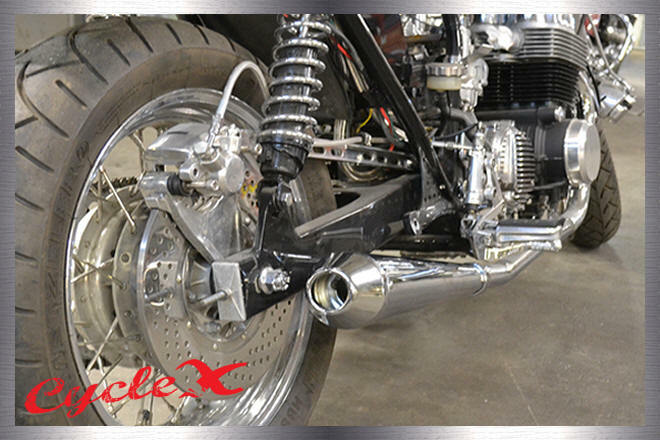 These exhaust systems and head pipes are also popular in the custom, chopper, bobber, brat and rat world. 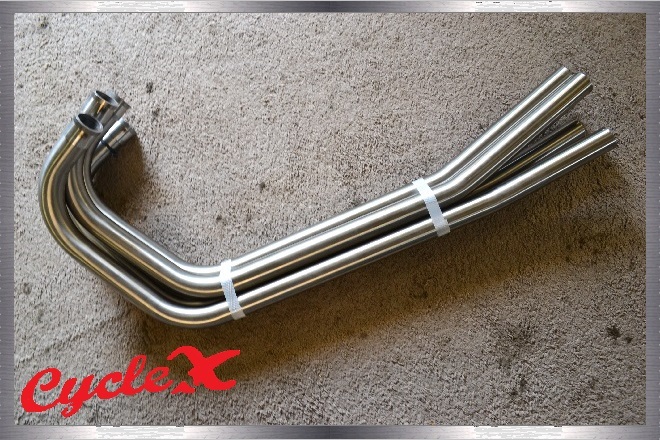 On the other hand, the system comes with brackets and hardware to make mounting the pipes easy for semi skilled people. 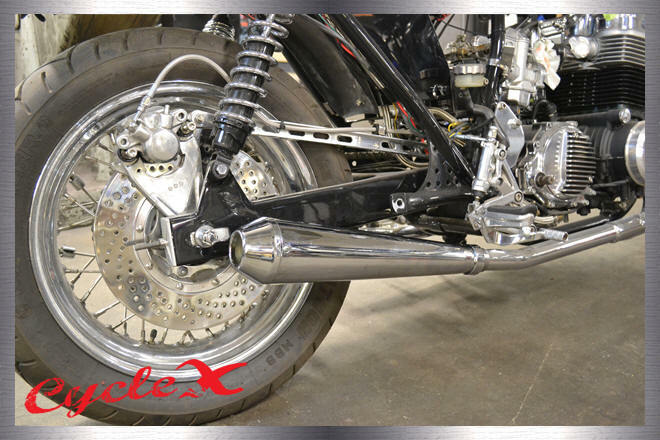 Our bends are second to none and the exhaust flanges are 1/4 inch thick stainless to reduce bending when tightening. 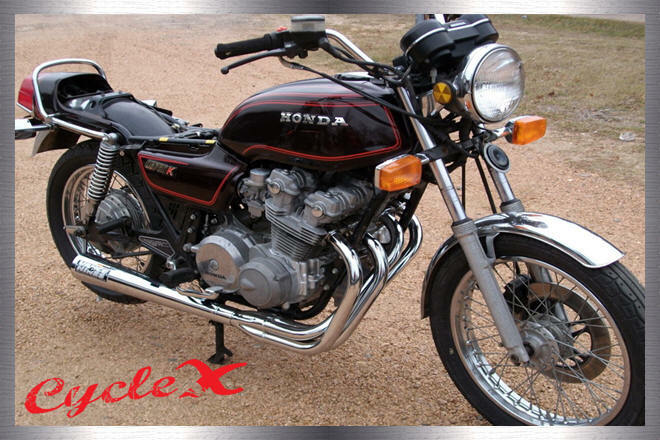 Fits 69-78 Honda CB750 SOHC and 79-81 Honda CB750 DOHC. 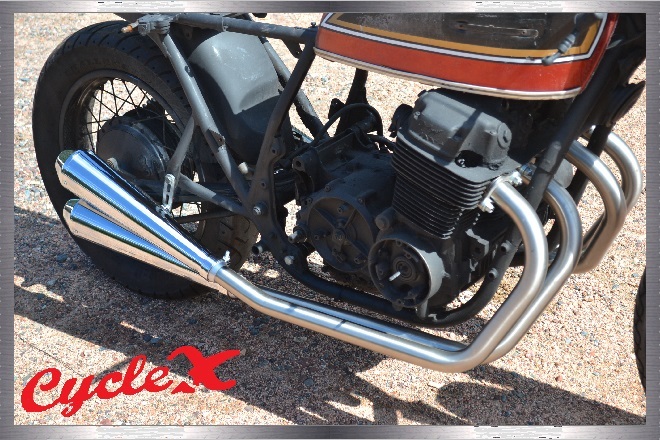 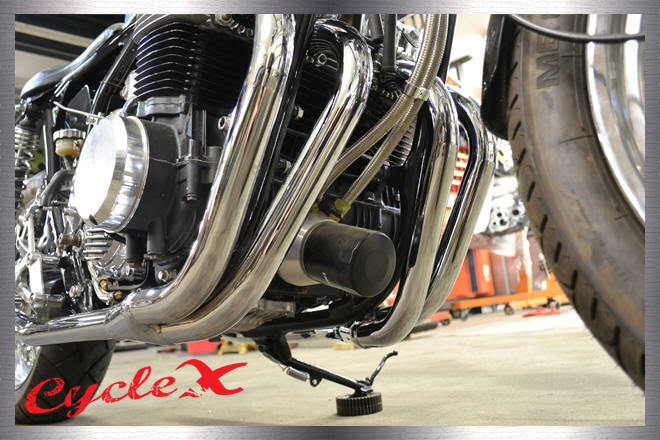 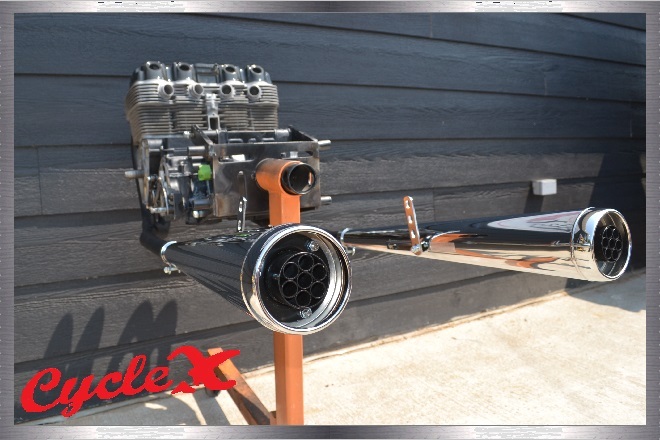 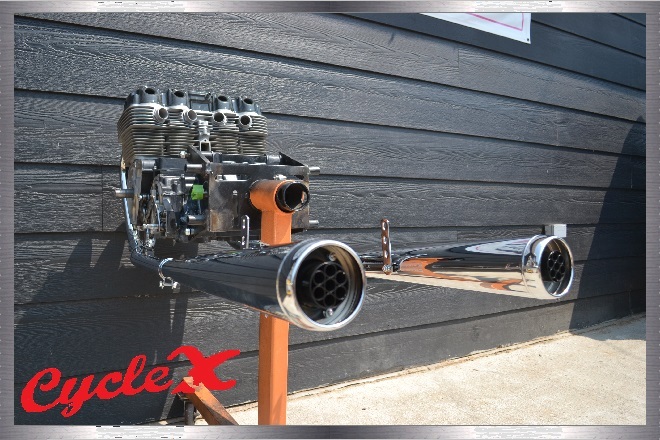 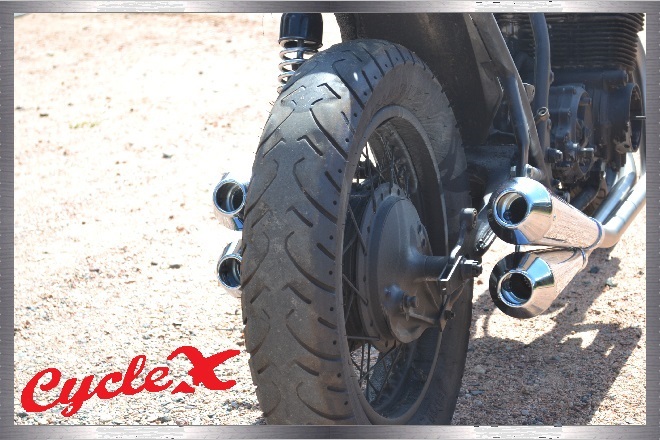 Check out the stainless 4 into 4 CR replica exhaust builder head pipes and muffler combo (mufflers are offered in black also). 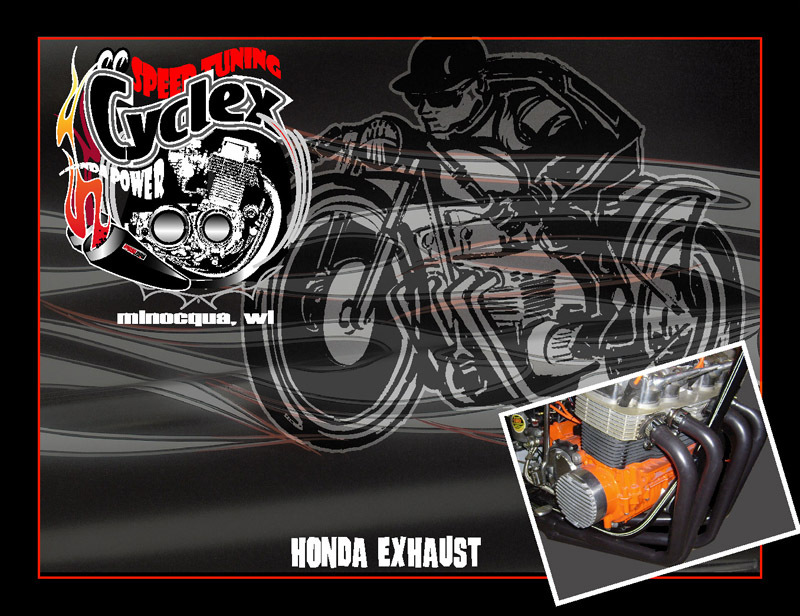 Cool exhaust systems for DOHC models are few and far in between. 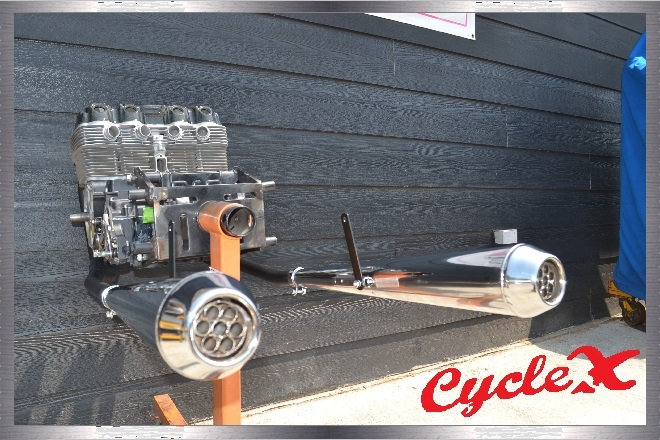 Our 4 into 2 System provides style, performance and great sound in one package. 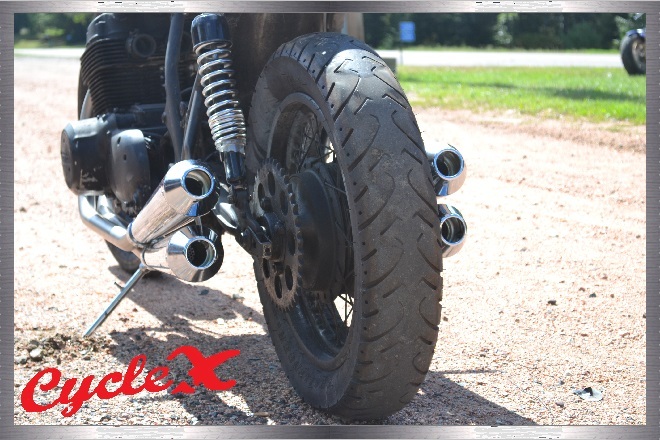 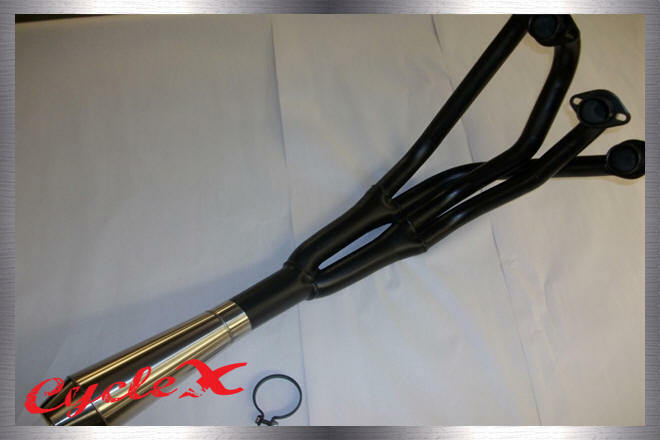 Features a slight upsweep at the rear of the mid pipe and has a mounting bracket on the backside of the muffler to attach to the rear foot peg mounts. 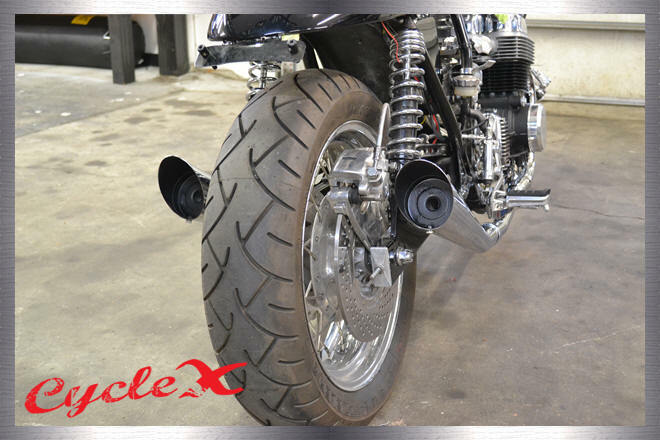 Use your stock finned clamps to mount these awesome head pipes or get rid of those rusty old things and use our billet mounting flanges found at the bottom of the page! 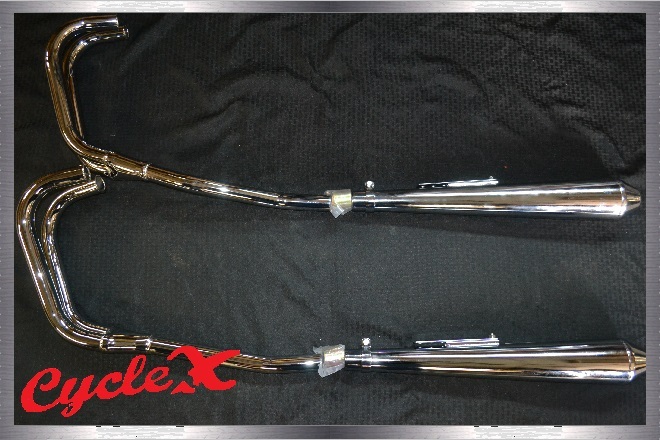 Chrome and different style options to come! 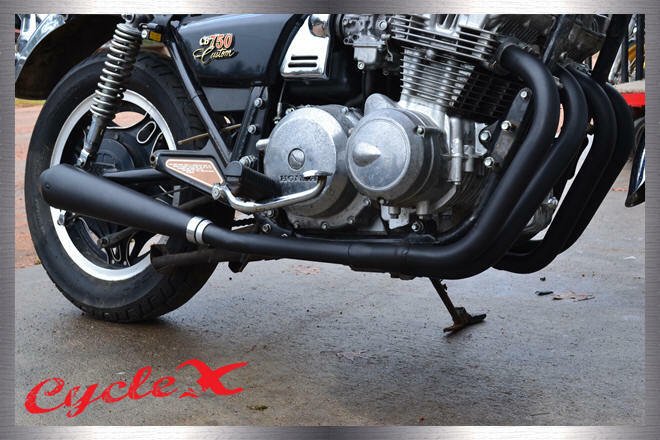 The photos below show the 4 into 2 exhaust systems on Honda sohc bikes for reference ONLY. 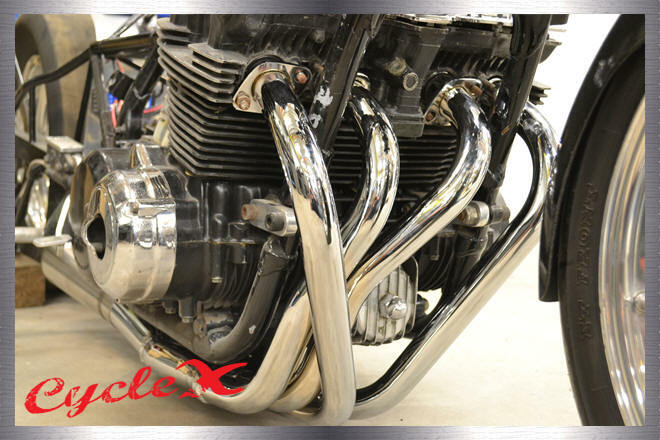 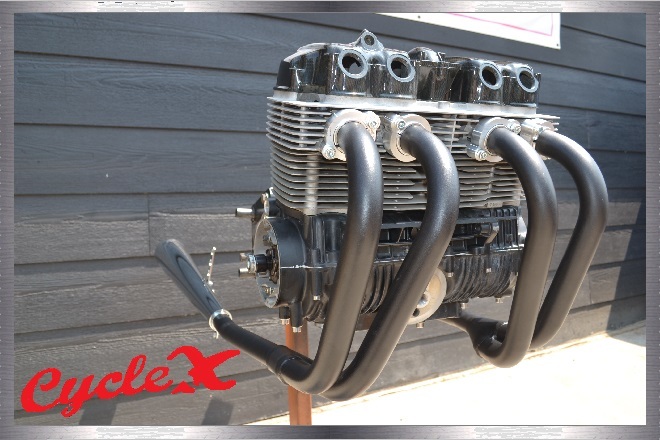 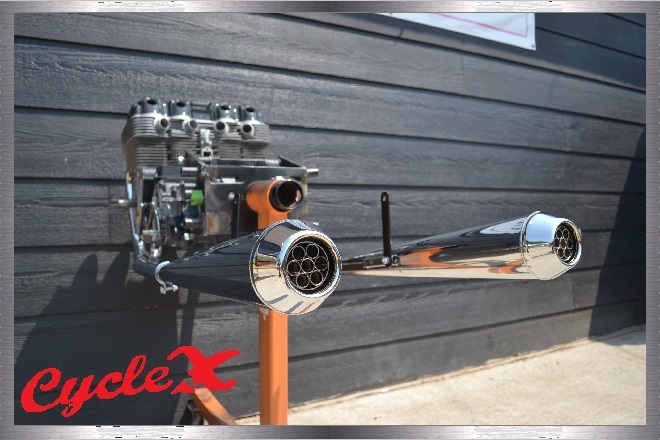 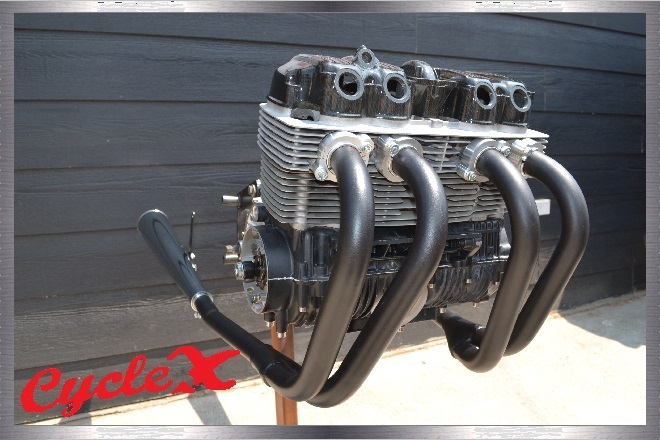 The systems below are designed for DOHC Honda cb750, 900 & 1100. 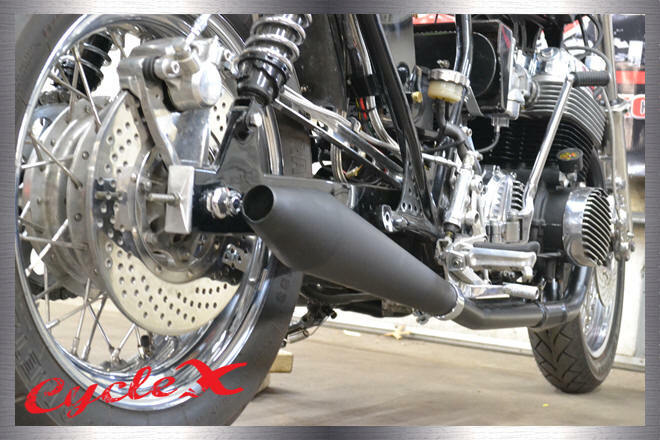 This system has a nice mellow and quiet sound to keep the cops and neighbors off your back. 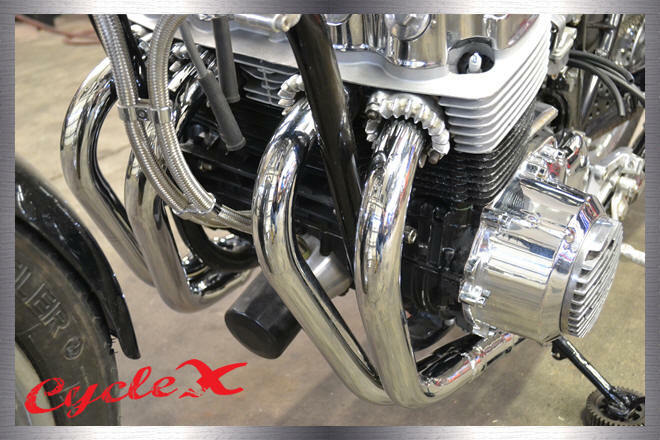 Like all of our Cycle X systems this is one of a kind. 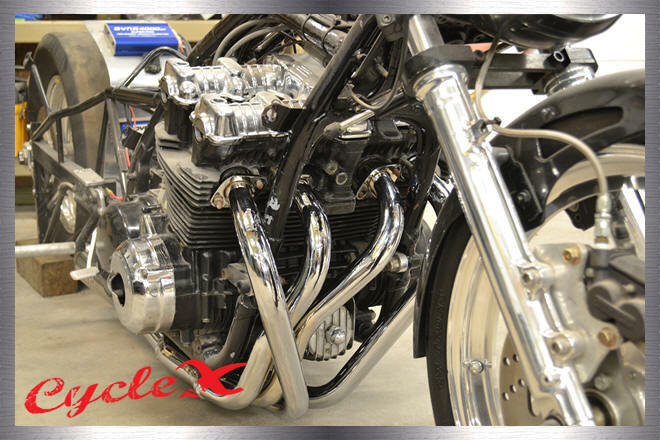 These systems below are designed for DOHC Honda cb750, 900 & 1100. 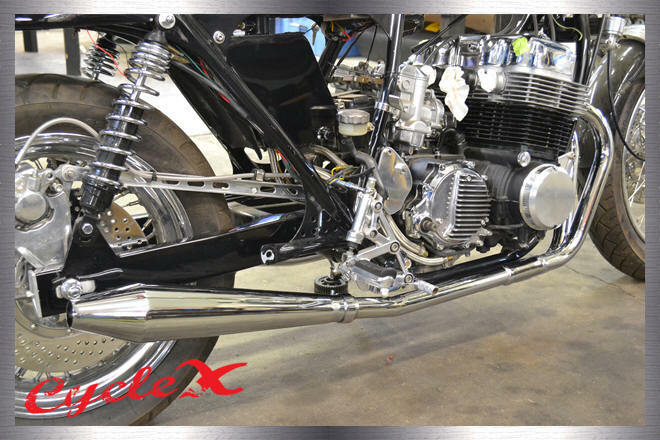 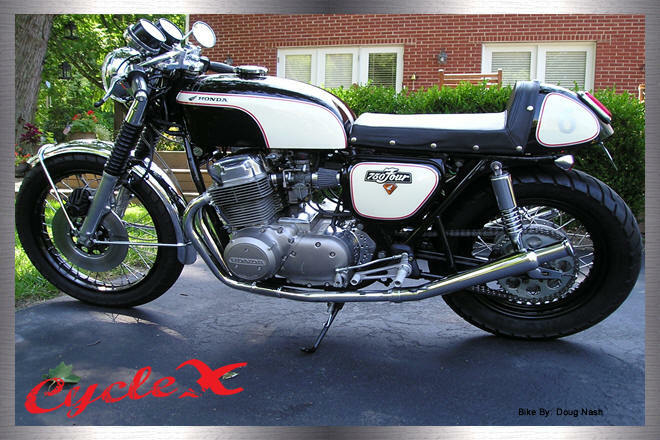 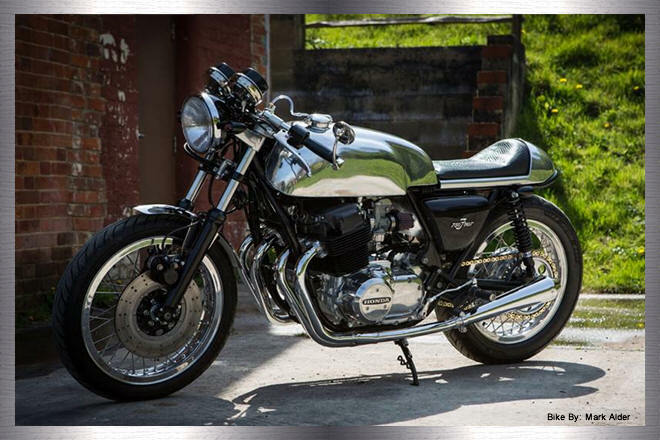 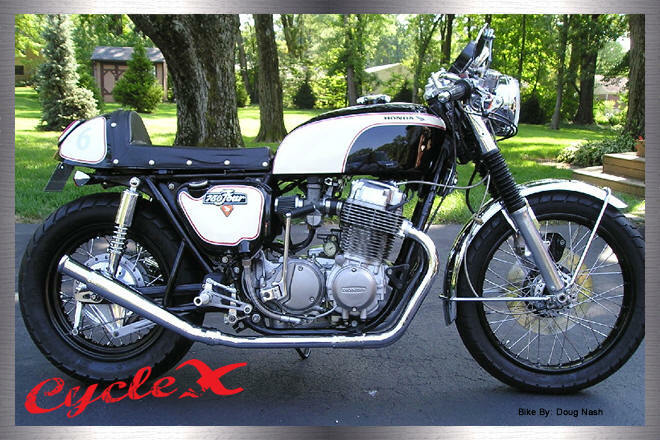 Another nice mellow and quiet system for your Honda CB750. 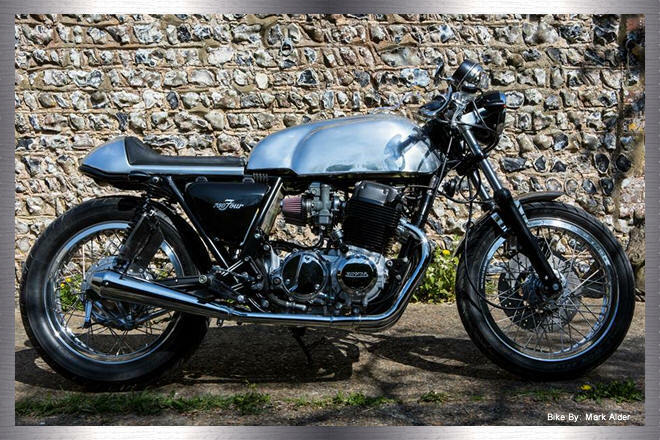 Looking for a vintage cafe look, look no further! 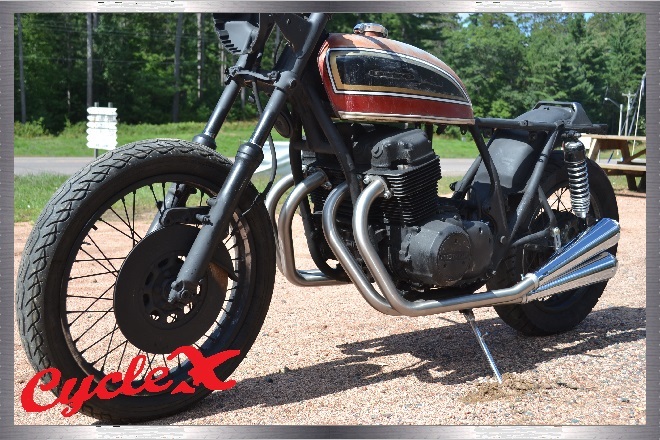 Newest version set attached with our custom "vanilla" mufflers for a traditional look with a throwback system. 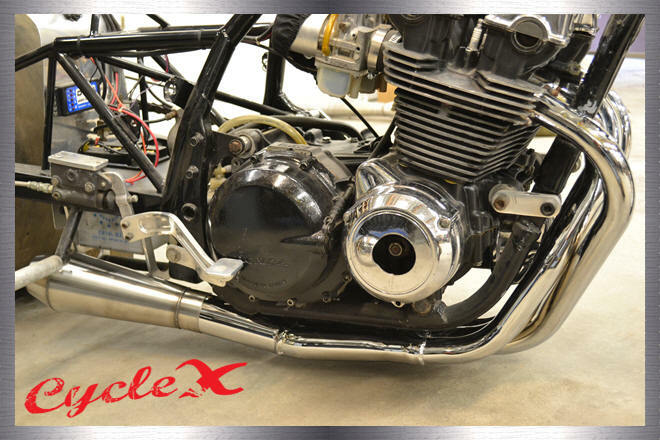 Here is what we did, because you asked. 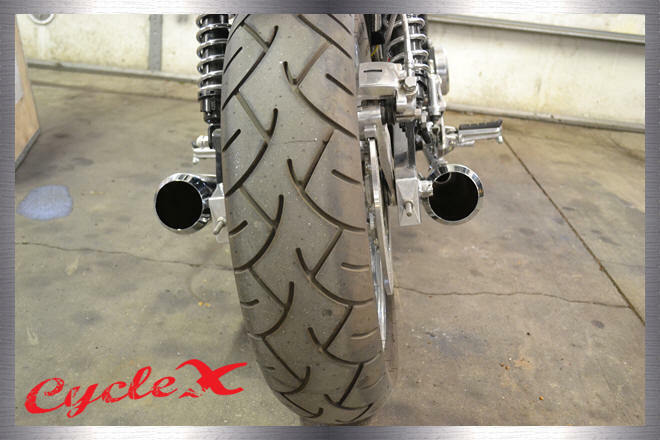 Stylish, aggressive, a work of art, the epitome of high performance- just some of the words used to describe our Super Sidewinder Exhaust System. 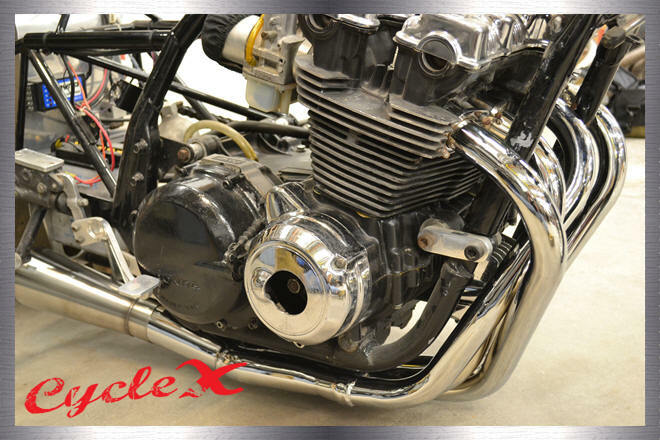 The above mentioned sidewinder has no baffle. 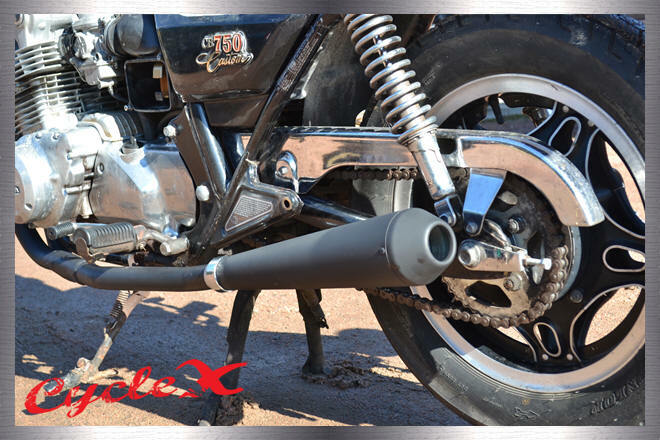 By popular demand we installed our race megaphone to the sidewinder. 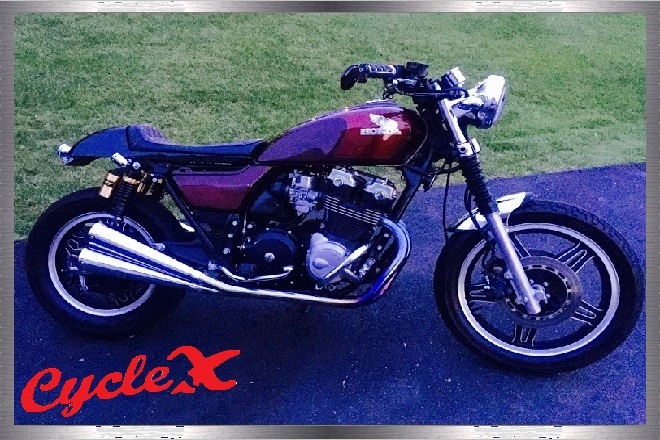 Deep mellow sound but roars to life when accelerating! 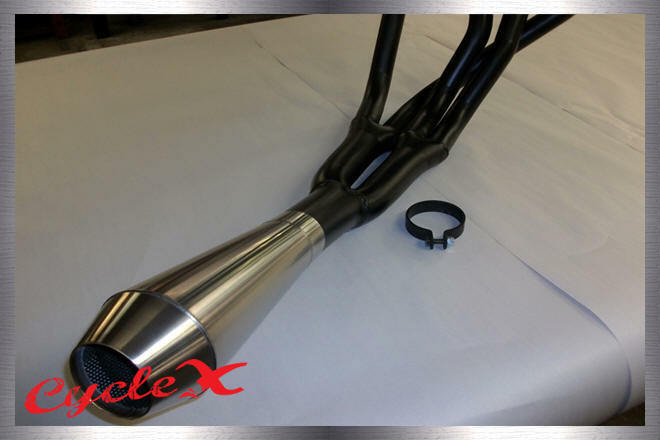 Stainless steel race megaphone with clamp. 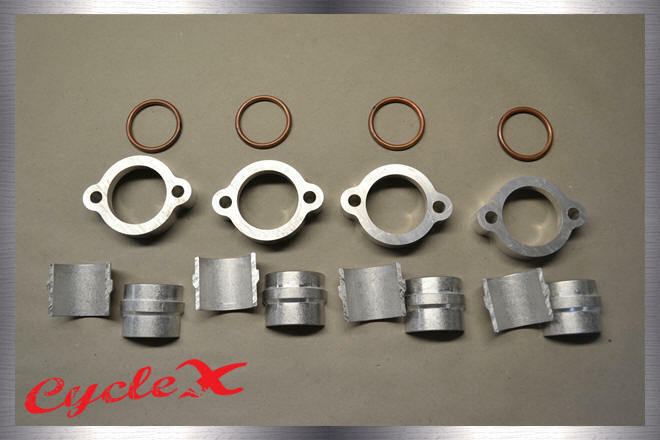 This flange kit replaces your old rusty stock flanges and the half moons on your DOHC bike. 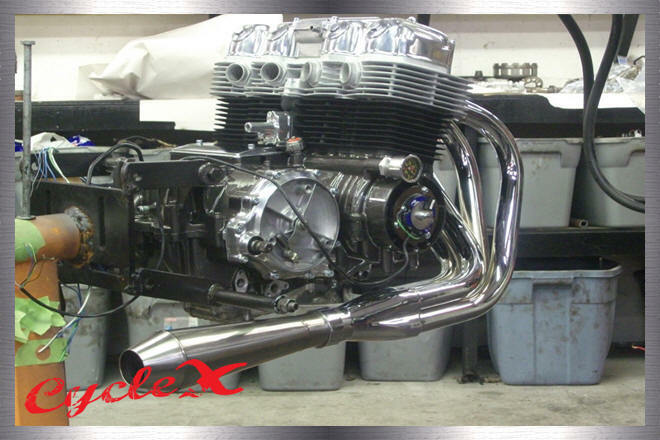 The kit includes 4 flanges, 4 sets of half moons, 8 allen head bolts, and 4 copper exhaust gaskets.